Wendy Cunningham, the Princess of Pastries, has been recruited into being a judge on the National Bake-Off Championship. When the ex-flame she left behind turns out to be a fellow judge, she decides to make the best of the situation, because she needs the publicity to open her newest high-end bakery. Slade Coleman is the hottest celebrity chef on the foodie scene, and he's not above making the most of his time in the spotlight. When the "Culinary Cowboy" gets recruited to judge on the next sure-to-be-a-hit baking show, the opportunity is too good to turn down. Nobody knows he has his own reasons for coming to South Florida. When The Princess sees The Cowboy, sparks fly and it isn't long before passion ignites. 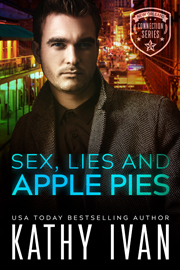 But something's going on behind the scenes, and it's up to Wendy and Slade to root out the bad apple before somebody gets hurt—or worse.